A new mobile application called Impala is picking up where Everpix left off, in terms of automatically categorizing your photo collections using computer vision technology. Once installed, the app works its way through your entire photo library on your iPhone, sorting photos into various categories like “outdoor,” “architecture,” “food,” “party life,” “friends,” “sunsets,” and more. But there’s a key difference between what Impala does and how Everpix worked. 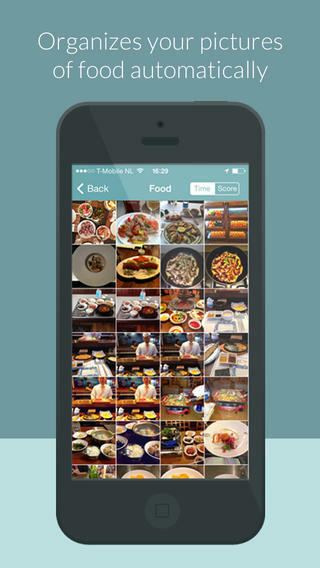 Impala’s mobile app has no server-side component – that is, your photos aren’t stored in the cloud. The software that handles the photo classification runs entirely on your device instead. But that latter one is by design, laughs Harro Stokman, Impala’s creator and CEO at Euvision Technologies, which develops the software. “We don’t like dogs,” he says. The app, in its present form, is not meant to be a standalone business at this time, but more of an example of the technological capabilities of the company’s software. Euvision Technologies, Stokman explains, was spun out from the University of Amsterdam where he earned his PhD in computer vision. The technology that makes Impala possible has been in development for over 10 years, he tells us. Today, many of Euvision eight-person team also work at the university, which owns a 15% stake in the company. Meanwhile, Euvision has the rights to commercialize the technology, but doesn’t have outside funding. Instead, it licenses its software, which until today was only available as a server technology used by nearly a dozen clients ranging from the Netherlands police department (for tracking down child abuse photos), to a large social media website, which uses the technology for photo moderation on its network. By putting Impala out there on the App Store, the hope is now to introduce the technology to even more potential licensing customers. That’s especially interesting in light of Everpix’s recent shut down of its photo storage and sharing platform this week. At the time, one of the reasons the company cited was the high cost involved with hosting user photos on Amazon Web Services. An unsustainable cost, as it turned out. Impala ditches the idea of using the cloud, and instead worked to compress its software to be under 100 MB in size, down from the 600 MB it was when they first began working on the app. “The memory the software needs that stores the models that allow us to recognize babies from cars from friends and so on took the most work to compress down,” admits Stokman. Like other image classification systems, Impala uses artificial intelligence and computer vision to “see” what’s in the photo. The system is trained using thousands of images from clients and elsewhere on the web, including both those that are like the category (e.g. “sunsets” or “indoor,” etc.) that are being taught, as well as those that are different. To make the system run on mobile, the company had to create a stripped-down version of its classification engine. When it runs on a server, for comparison’s sake, it takes four times as much compute power. “The more compute power, the more memory, the better the results,” Stokman says. In other words, the resulting albums in Impala may be hit or miss. And the app is fairly basic, too. After it runs through your photos, you can tap a button to save the images to your iPhone’s photo gallery. Each album also has a section where photos it wasn’t sure of are listed, but there’s not currently a way to manually approve or re-organize these items by moving them elsewhere. As for the dogs that get listed as cats? It’s nothing personal, it’s just that the Impala engineers are more cat people. “We don’t like dogs, so we didn’t put the category in there,” jokes Stokman. “You can take pictures of dogs, and it won’t recognize them as dogs. It will be cats,” he says. If the app takes off, that’s something that may change with future improvements. For now, the company is working on its next creation: a camera app that can instantly identify 1,000 objects – like sunglasses or keyboards, for example – as you shoot. They’ll be submitting it in a contest at an upcoming conference, and may consider integrating that technology into Impala at some later date. 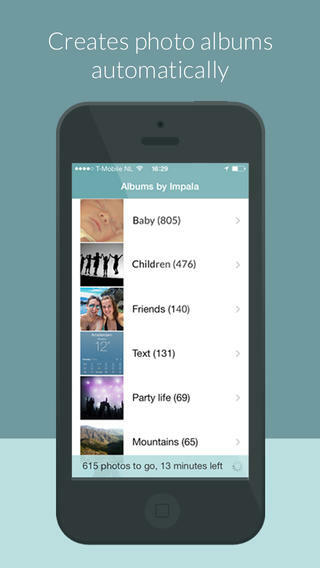 Impala for iOS is a free download here. Amsterdam-based Euvision Technologies, co-founded by Prof. Arnold Smeulders, Ph. D., M.Sc., is bootstrapped with investment from Stokman and Chief Commercial Officer, Jan Willem F. Klerkx, M.Sc.